Night activities discovering the secrets of the forest by snowmobile. 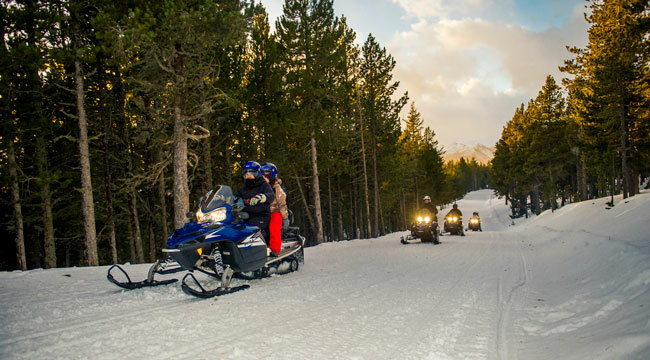 The night outings by snowmobile through La Rabassa will not leave you indifferent. 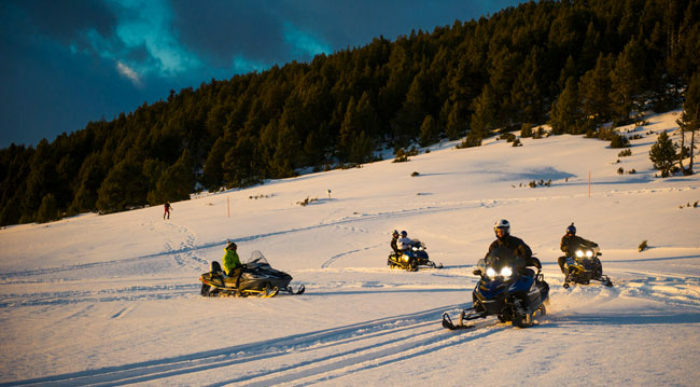 You will discover unforgettable landscapes, you will pass by roads surrounded by pines and by endless esplanades, in a circuit where you will arrive at the Bescaran viewpoint, and you will pass by the Pymes refuge at 2170 meters high. 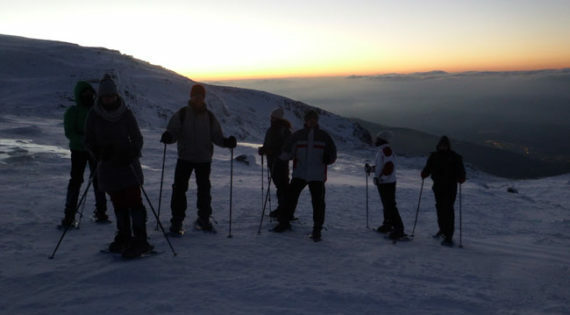 At the same refuge, you will make a stop to rest and we will offer you a hot drink. There you can change driver, if you share a snowmobile and you both want to drive. The duration of the activity is approximately 2 hours. Be 18 years old and have a driving license is required to manage the snowmobile. Minimum of motorcycles to carry out the activity: 2 motorcycles. Driver over 18 years old with driver's license.